Australian retailer SurfStitch (formerly partially owned by Billabong) is expecting its losses to double this year, according to a story on Sky News. In what has been one piece of bad news after another, the company will also be closing their US office a.k.a Swell.com. SurfStitch on Monday announced that weak apparel and footwear sales in its key markets, particularly in the UK, will drag it deeper into the red than the $5 million-$6.5 million loss it had forecast in February. . . The company now expects a loss of between $10.5 million and $11.5 million for its 2017 financial year. Guess the suits haven’t been able to turn the retailer around like they’d hoped. This Thursday, December 15, 2016 legendary skateboarding photographer J. Grant Brittain will be showing many of his iconic skate images in a gallery setting at Univ in Encinitas, California. 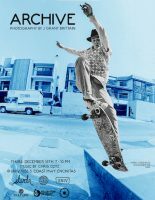 The event represents a long-standing friendship between Grant and SLVDR‘s Tim Swart and the opportunity to showcase many from the vault of Grant’s 37 years of iconic skateboard imagery. Grant‘s photos have helped document the progression and creativity of skateboarding for decades. “Archive” will highlight many of the classic photos and some not often seen over the years. The show opens at 7 PM and will feature music by Chris Cote. Univ is located at 1053 S. Coast Highway, in Encinitas, California. For the official word from SLVDR, please follow the jump. The guys in the suits (SurfStitch’s new CEO Mike Sonand and chairman Sam Weiss) are running Australian retailer Surfstitch and they’re cleaning up the board of directors including kicking off executive directors (and company founders) Lex Pedersen and Justin Stone, according to a story in the Sydney Morning Herald. None of the board members who signed off on last year’s acquisition binge, which has since been written off, survived the blood-letting announced on Tuesday by new chairman Sam Weiss. . . To help make up the numbers, Weiss has had to collar Quiksilver veteran Harry Hodge, who joins the board this week. 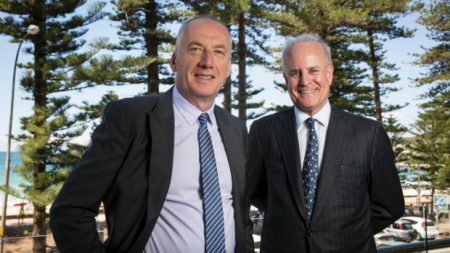 . . Surfstitch’s new boss Michael Sonand scored the remaining board seat. Will be interesting to see if these changes make any kind of difference when it comes to the company’s performance. It appears that PacSun will live to sell another Volcom T-shirt after a court ruling approved its reorganization plan, according to a story in the Orange County Register. Under the reorganization plan approved Tuesday by U.S. Bankruptcy Judge Laurie Selber Silverstein in Delaware, PacSun will give all its stock to affiliates of private equity firm Golden Gate Capital, its senior lender. . . In exchange, Golden Gate will reduce the amount it’s owed by PacSun to about $30 million initially from $88 million, Gary Schoenfeld, the retailer’s chief executive officer, said in an interview. Golden Gate has also agreed to invest $20 million in the company, most likely in form of new debt, he said. And presto, $58 million in debt is gone. Wonder how long it will take Mr. Schoenfeld to blow through this new $20 million? We’re guessing not long. PacSun may have worked wonders on their business, but we doubt any of that is going to bring the kids back to their mall stores (even though some research suggests teen mall traffic is actually increasing). Christopher Romero, 26, a manager at the Zumiez store in Atlantic City, New Jersey’s The Walk mall, was shot and killed by an acquaintance in his store Thursday, September 1, 2016, according to a story in the Press of Atlantic City. The Atlantic County Prosecutor’s Office said Lewis Maisonet, 55, of Somers Point, fatally shot Christopher Romero, 26, of Absecon, at the store where Romero worked and later shot himself at White House Black Market, officials said. . . . “This was an unfortunate domestic violence … two individuals were involved … I think since this is an active investigation it would be inappropriate for me to release any additional information,” Guardian said. The shooter has reportedly survived his self-inflicted gunshot wound. Our thoughts are with Romero’s friends and family. SurfStitch the Australian online surf retailer who was formerly owned (partially) by Billabong (and then took over Billabong’s North American online business including Swell.com) had a pretty rough go in fiscal 2016. According to a story on the Orange County Business Journal, the company (which went public in 2014) lost $116.4 million on $176.9 million in revenue for 2016. The loss accounts for “strategic review adjustments,” including impairment, administrative, selling and distribution expenses. Its revenue total includes $157.5 million in retail revenue, $16.82 million from Surf Hardware, and $2.55 million from its media properties (Stab Magazine and Magicseaweed.com). They were reportedly planning on “rebranding” the entire business under the Swell.com name, but things at Swell.com didn’t go much better in 2016 so they’re going to put those changes off for a bit. Swell in Irvine, which will shrink to 14 employees after 65% staff reduction is complete in October, contributed $18.92 million to retail total. That’s down 12 % from $21.6 million the brand posted in fiscal 2015. Swell’s gross earnings were down 44% to $5.4 million. Apparently, the kids just aren’t blowing all their money on expensive, branded, logo’d surf togs anymore. What a surprise. Oh, and if you know anyone who wants to buy San Diego, California’s Surf Hardware International (parent company of FCS Fins), please let SurfStitch know. They bought the company in November 2015 for $16.6 million, but have now decided that it’s not such a good fit. As proof that authentic surf retail still exists, Huntington Surf & Sport will be holding a grand reopening of their HB Pier location on Wednesday, May 25, 2016. For the official word from the Pai family, please follow the jump. 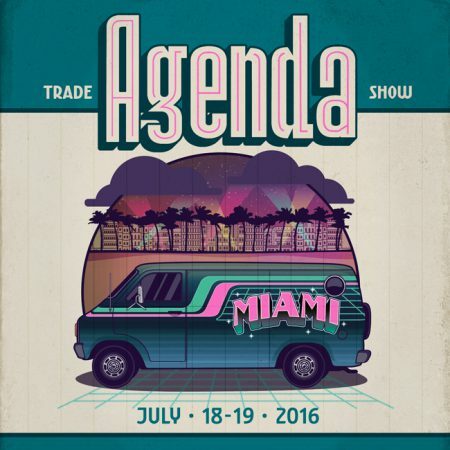 We can think of a lot of reasons to visit Miami, Florida in July, but the 2016 Agenda Show scheduled for July 18-19, 2016 is probably one of the best. For all the official details, please click the link. Sport Chalet, SoCal moms’ favorite action sporting, big box chain store, is calling it quits after 57 years in business. But they’re not going to try and restructure like PacSun, or Quiksilver. No, they’ve turned off their online store and are shutting down each and every one of their 47 locations, according to a story in the Los Angeles Times. The chain reportedly hadn’t made a profit since 2007 and was apparently $52 million in debt when it was sold in 2014 for $17 million. Blame Target and those dastardly online discounters. Surprisingly, if you’re looking for cheap camping gear for a summer road trip, you should definitely look elsewhere. There are no deals at Sport Chalet. According to one store employee, “The liquidation company came in and took over the pricing,” he said. “We have no control over anything” Meaning, most everything in the store is now more expensive than it was before the closing announcement.